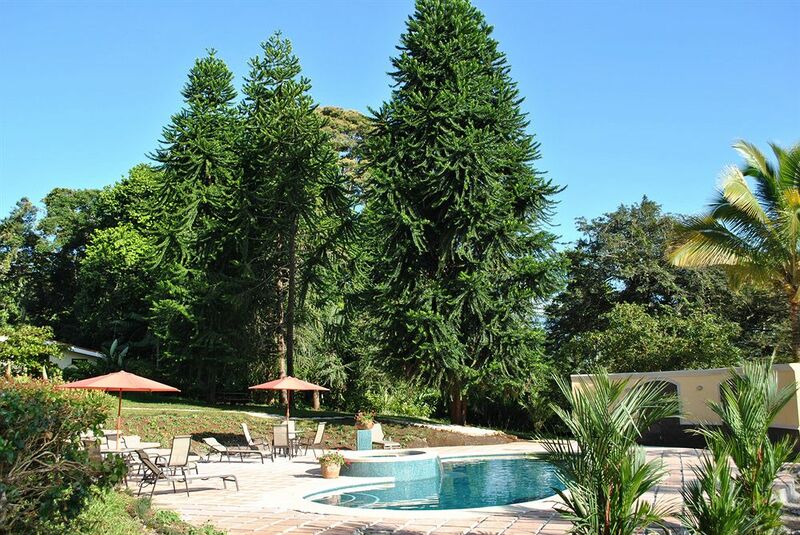 Villa Florencia Hotel offers you the ideal place for rest and relaxation in one of the most picturesque places of the Turrialba Valley. 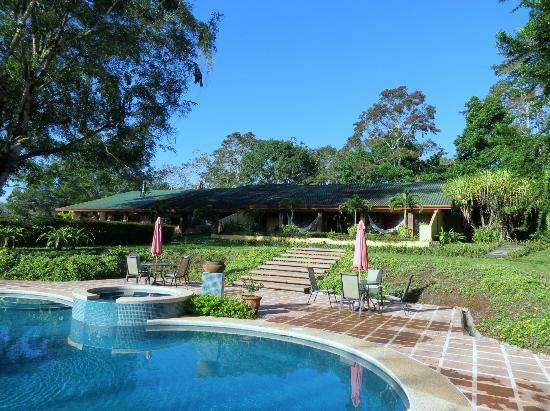 The hotel is surrounded by sugarcane plantations and beautiful vegetation and is located only 10 minutes away from the city of Turrialba. All rooms are spacious and cozy and generously equipped with two queen size beds, private bathroom, hot water, hair dryer, iron set, TV and feature fine wooden furniture. The rooms have views to the gardens or provide direct access to them. The family room is a very spacious and cozy room, ideal for a family or a group of friends. (4 people fit very comfortably). It is a two level room, with two queen size beds on the first floor and one queen and single on the second floor, with private bathroom, hot water, hair dryer, iron set and TV. 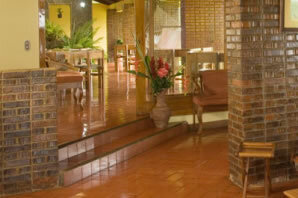 Tavo’s Restaurant offers delicious dishes in a cozy atmosphere, surrounded by beautiful gardens. Enjoy the complimentary home-style breakfast and complimentary fresh fruits and snacks all day. Transfers from San Jose’s Juan Santamaría International Airport to Villa Florencia are $50 each way for a minivan with a capacity of up to 9 passengers.